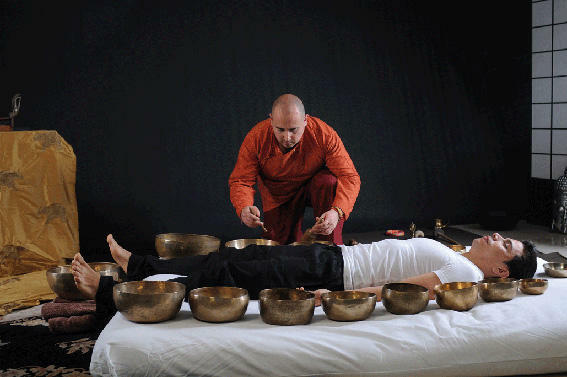 Massage Around the World offers Singing bowl sets for everyone that is interested in these incredibly powerful healing instruments! 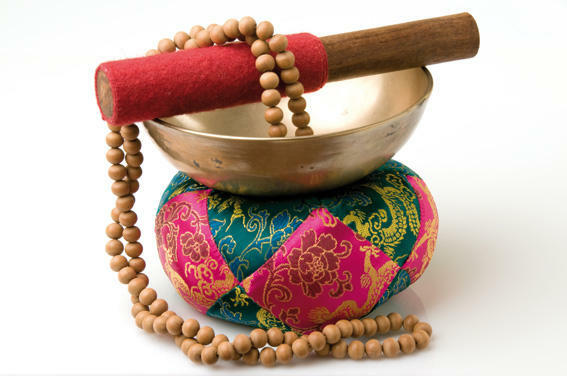 You can use them for sound massage such as Tibetan Singing bowl massage or any type of sound healing, but you can also use them for meditation, as musical instruments, etc. We offer three sets based on the size of the bowls and the circumstances under which they are manufactured. 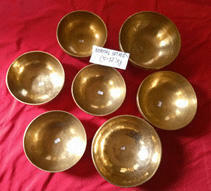 All Singing bowls that we sell are hand-made in Nepal and of the highest quality. 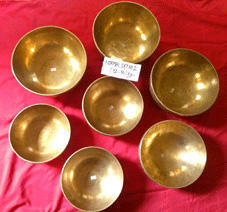 Want to learn to use the singing bowls for sound healing through our Tibetan Singing Bowl Massage online course? If you purchase Full Moon Singing Bowls (set C) we offer you 50% discount on the course price, and if you purchase our normal Singing Bowls (sets A and B), we offer you a 30% discount on the course price. Please contact us at: info@massagearoundtheworld.com for information on prices and availability, for placing your order, and get the Singing bowl set to your doorstep in a few weeks! Price: 1200-1410 $, depending on the weight. Price: 1410-1620 $, depending on the weight. Price: Price: 2395-2795 $, depending on the weight. 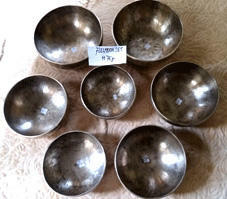 The Full Moon Singing bowls are truly unique as they are manufactured only during and directly under the Full Moon and only using 100% pure metals. Since ancient times people have noticed that the Full Moon has a significant impact on our planet and us as human beings, and that it radiates a unique energy that affects us on many levels. The Full Moon Singing bowls capture this energy and this gives them an extraordinary sound and a remarkably long-lasting vibration. Due to the singular process of manufacturing these bowls, the availability of a Full Moon Singing bowls set depends on the amount of bowls that have been created at a particular Full Moon (as each Full Moon does not provide the sufficient light for the creation process), as well as how we are able to assemble them into sets of 7 Chakra notes. If you are interested in this exclusive set, let us know asap as this way we can include you in the waiting list right away. We can ship to practically anywhere around the world. When you place an order, we will estimate shipping and delivery dates for you based on the availability of your items and your location (usually around 2-4 weeks). The final price for your set will include shipping expenses except your local duties or taxes which vary by your country. Please contact us at: info@massagearoundtheworld.com for placing your order.